Once it was flower power, now the alarmists of global warming religion hit San Francisco. Meanwhile world consumption of oil, coal and gas is rising as populations increase and more countries accelerate their economic development. The limitations of subsidised renewables are becoming ever more obvious. Batten down the hatches! A tsunami of global warming and “clean energy” propaganda is approaching! San Francisco is hosting the September 12-14 Global Climate Action Summit, a massive event at which “international and local leaders from states, regions, cities, businesses, investors and civil society … will be joined by national government leaders, scientists, students, non-profits and others … [to share] what they have achieved to date and commit to doing more to usher in the era of decarbonization”, write Tom Harris and Dr Jay Lehr. Decarbonization means phasing out the fossil fuels that now provide over 80% of all the energy we use – in favor of wind, solar and other supposedly clean energy sources. That is ridiculous. The world has been using more coal, oil and natural gas over the past decade, not less, because they are the best energy sources available. The supposedly clean, green renewable energy sources and their long transmission lines are far too expensive and unreliable for widespread use. They also have major pollution issues of their own, though the worst impacts occur in countries with weak environmental controls. They require vast amounts of fossil fuel energy and raw materials to manufacture. They impact millions of acres for mining, waste disposal, wind and solar facilities, and transmission lines. At the recent America First Energy Conference, Louisiana Attorney General Jeff Landry noted that just generating enough electricity to power the Houston metropolitan area would require over 21,000 square miles (13.4 million acres) of corn fields, if the fuel source was corn ethanol. “Think about that footprint!” Landry exclaimed. To produce the same amount of electricity from wind power would take almost 900 square miles of wind turbines or 150 square miles of solar panels, he added (and millions of batteries). Wind turbines already kill millions of raptors, other birds and bats, many of them rare, threatened or endangered. Imagine the impacts from all the turbines needed to generate all the world’s electricity. And climate change is almost entirely a natural phenomenon, over which humans have essentially no control. The World Green Building Council says the objective of net-zero carbon building is to “achieve net zero carbon emissions annually in operation.” But of course, that just means that most of the emissions merely have to be created somewhere else, as discussed above. But that rise began with the modern industrial revolution and end of the Little Ice Age in 1850 – which means we now have less than a degree to spare before climate chaos allegedly sets in. That too is ridiculous. Moreover, humans cannot control climate as if we had a global thermostat, and we are not really talking about controlling “carbon” anyway. Al Gore started that deception with his 2006 pseudo-documentary, An Inconvenient Truth, which claimed “carbon emissions” were going to destroy our planet. Gore helped popularize the term “carbon footprint,” while always hiding the enormity of his own footprint – and hiding the fact that the “dangerous pollutant” is actually carbon dioxide (CO2), the gas that people and animals exhale and plants use to grow. 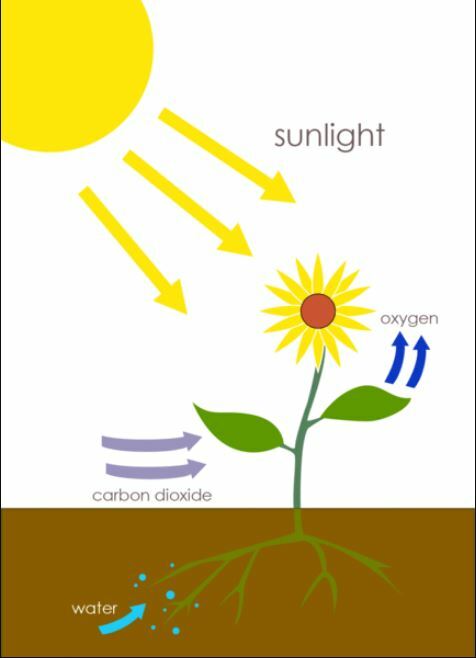 The more CO2 in the air, the better and faster plants grow. It’s a natural, happy, mutually beneficial process. So, in an unfortunately all too successful attempt to scare people, Gore and his cohorts began using “carbon” as a synonym for carbon dioxide, knowing it would conjure up visions of soot, lamp black and coal dust. Aside from the fact that CO2 contains a single molecule of carbon, it has about as much in common with elemental carbon as lightning does with lightning bugs. Robert Gould, MD, president of the San Francisco Bay Area Chapter of Physicians for Social Responsibility, further illustrates how distorted the climate debate terminology has become. Gould says “the decarbonization of our planet is imperative for human survival.” In reality, a decarbonized Earth would be a dead world, a world devoid of all life, including ours. Many people have unwittingly accepted the “carbon” sleight-of-hand, without realizing they are being manipulated toward negative thoughts about plant food. It is possibly the best example of subliminal brainwashing ever. Anybody can in theory outsource at least some of their emissions of carbon dioxide to other places like China, Texas etc. It’s called virtue signalling, but does little to change reality. If the trend continues, in another 50 years the only people left will be the street people. Californians won’t need to worry about secession. They will have been taxed out of the State. p.g. – if they end up relying on power imports they won’t have proved anything. ” “international and local leaders from states, regions, cities, businesses, investors and civil society … will be joined by national government leaders, scientists, students, non-profits and others … ” to figure out how to keep stealing billions for this scam. I’ll plow this ground and beat this dead horse yet some more. Maybe somebody will step up and ‘splain scientifically how/why I’ve got it wrong – or not.